Lemon essential oil is a super secret for beauty and health. This essential oil is probably one of the easiest oil to collect at home. We can use it for our skin as it is a good antiseptic and astringent. It also helps reducing the dark spots on mature skins. The only contraindication is to never use it before exposing your skin to the sun. All the limes, lemon, orange, mandarin essential oils are phyto photo senzitising…it means…your skin can react and get inflamed after exposing to the sun. 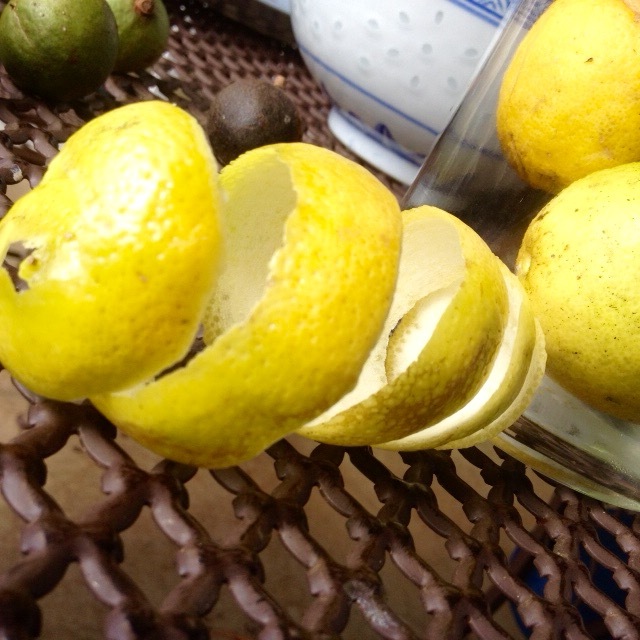 To extract naturally, without even pressing your plant material, you will need to peel your lemons. If you look close…you will see a lot of little darker spots on the white side of your peels…these spots are called vesicles. The vesicles are little bubbles filled with essential oils. It is very important to use organic lemon to insure you to have chemical and pesticides free fruits. -Peel your lemons, don’t keep too much “white part” on your peels. Your diluted 100% natural lemon essential oil is ready to use. -If macerated in olive oil,apply your mixture on your joints, let it set for the night…you will wake up refreshed…and with less or no pain. -Use macadamia and lemon oil for an oil cleansing and de make up. Just like Japanese women are using the layering technique. -Use the macadamia-lemon mixture for a deep, effective anti cellulite massage oil before going to bed. – Use the coconut mixture as a hair mask before the shampoo, than rinse with cold water…shiny hair guaranteed. -Use the coconut mixture for white teeth…with oil pulling ( I will write a post soon about oil pulling), instead of rinsing your teeth with listerine, switch for a natural oil pulling to whiten your teeth. The coconut oil is a good and soft anti septic, the lemon oil will whiten your teeth…use it for 2 weeks, then switch back to your usual mouth rinsing. Haha….Violette just got a back massage with the oil….loved it…. I bet you would too….reading your posts….your work so hard…. 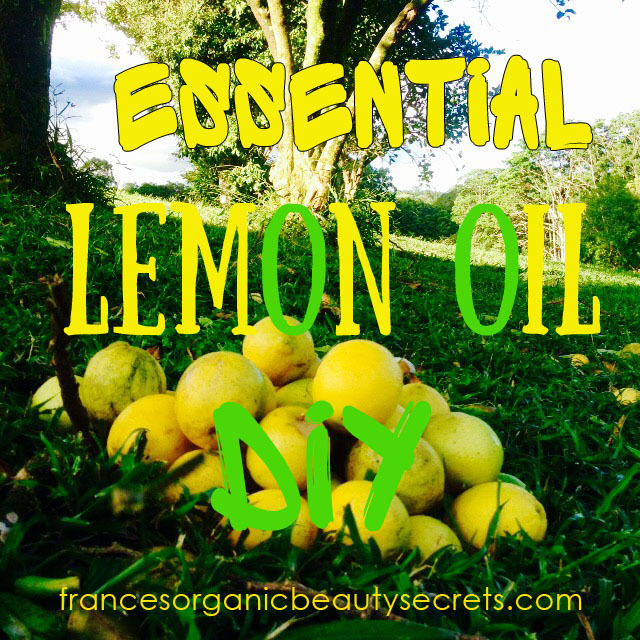 I really like this recipe as I am a big fan of lemon essential oil and use it almost daily. Definitely one to try out! I am curious, how do you use your lemon essential oil? For beauty only or for health too? I use lemon essential oil mostly in face and body massage, also when making face masks. I love its refreshing and uplifting smell. Also, on my hair, mixed with a conditioner to naturally highlight my hair when sitting in the sun! 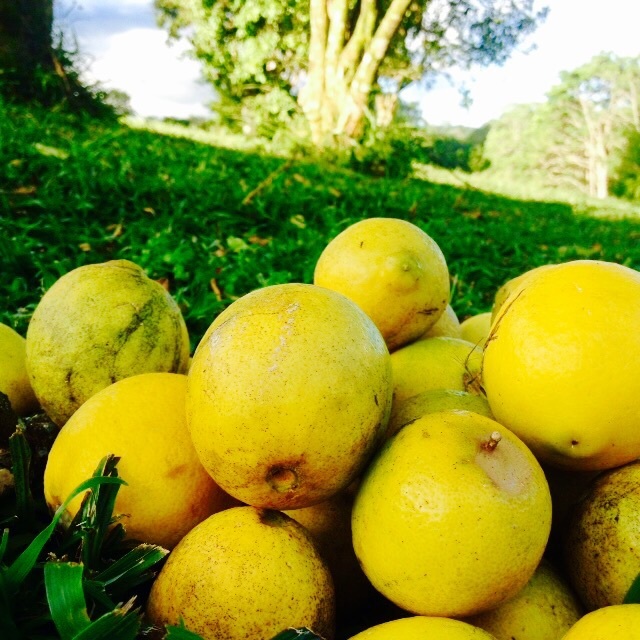 Thank you so much for re blogging…..I m glad you found this post interesting….and for sure you will love the lemon oil many different ways…..enjoy beauties!! !